There are a dizzying array of baby monitors available on the market today. If you have decided to purchase or register for a monitor (see my related article "Should I Buy a Baby Monitor" in related links, below), there are many things to consider in making your selection. Monitor Type – Before even getting into the details of monitors themselves, it is first necessary to consider whether you want a standard audio monitor, or a video or movement monitor. While monitors do have many useful functions, let's face it, the marketers of these things are playing on the anxiety of new parents. I believe that video and movement monitors can be extremely useful in special circumstances, such as premature infants or those who may be exposed to known high risk factors for SIDS, such as smoking in the home, anything more than an audio monitors is simply not necessary for most families. Personally, I have used only audio monitors and will direct the remainder of my selection tips to that category. Single or Multiple Receivers – When I purchased my first monitor, dual or multiple receivers was not a popular feature, and once the baby was in her own room, each day we moved the monitor dutifully between the living room for naps and our bedroom at night. While this was hardly a hardship of epic proportions, I will admit that the dual receiver monitor we bought for our second child has been a nice convenience. If you have a multistory home, or anticipate moving the monitor back and forth, spending the extra money for the extra receiver may certainly be worth it to you. Key Features – There are a few key features I would recommend looking for in any monitor. Multiple channels will definitely make it easier to reduce interference from the many electronic signals flying about in the 21st century. This is especially important if you live in a multi-family dwelling or multi-unit complex. The other feature I would insist upon is rechargeable batteries in the receiver – unless you really never anticipate having to unplug and carry the receiver around with you, moving the plug (the wiring of which should be well-hidden from the baby for safety reasons) can be quite inconvenient, and replacing regular alkaline batteries is wasteful, and they get used up more quickly than you'd think. Etc. – There are tons of little features that may or may not be important to you on various models of monitors, so read the box carefully. As much as they advertise it, the digital monitors are not necessarily better. Some friends of mine swear by them for better reception, but I returned two of them for not working at all (oh, the constant beeping!) and found success with a non-digital one half the price. It just depends on your location and layout and what surrounds you, electronically speaking. Range, which is heavily marketed, will really only be significant for you if you have a large home or property, and higher ranges could even theoretically increase the amount of interference you pick up. Some monitors have a two-way feature which could be useful when kids are older, but was never a deal breaker for me. Some have vibration mode which can be good if you entertain frequently, or times when the white noise of the monitor is unwelcome. Some have lights for the same reasons. There are many other variations, so read lots of descriptions to get a sense of what you might want and not want. 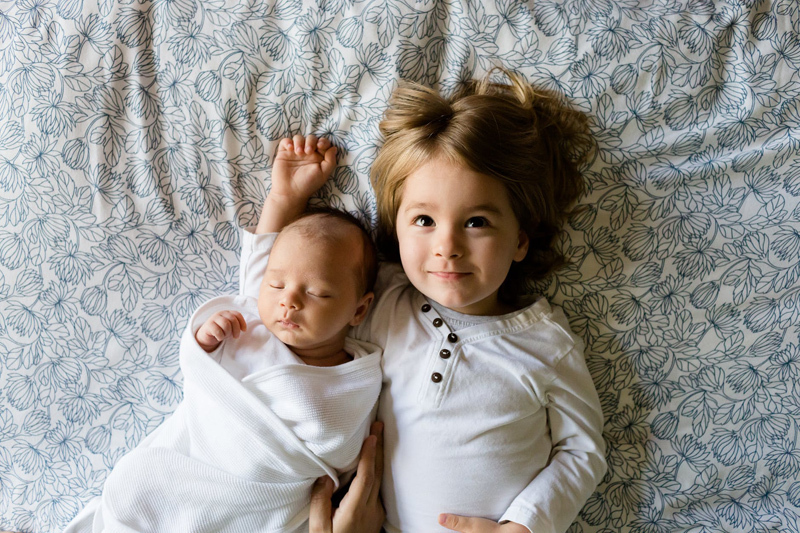 Choosing a baby monitor can be a daunting process – and as one of the more expensive baby item purchases, it is worth a little time and research to learn about the options available and read some reviews before buying. Below are the Babies R Us links for the current version of the Fisher Price monitor line that I have used successfully for years – both the version that I purchased 6 years ago and the one 2 years ago are both still work very well on a daily basis. I also included a link to their top-selling audio monitor.